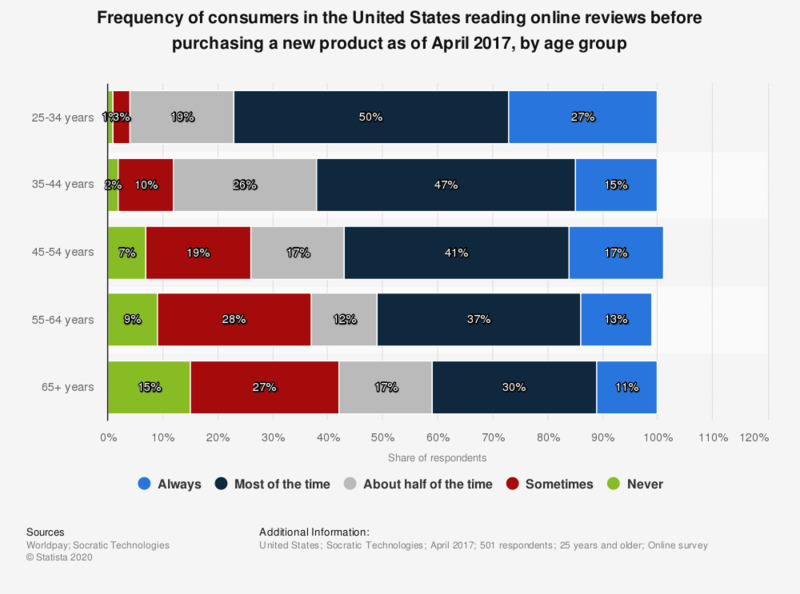 The statistic presents the frequency of online review usage before purchasing a new product according to consumers in the United States, sorted by age group. During the April 2017 survey, 50 percent of respondents aged 25 to 34 years stated that they looked up reviews online most of the time before making a new purchase. Original question: When looking for a new product, how frequently do you read online reviews before purchasing the product? How similar or different was your experience to what the online review said about the products or services?